While litigation may be a critical component to implementing the ADA, can mediation sometimes provide better justice than a lawsuit? In his article A Just Alternative or Just an Alternative? Mediation and the ADA, EEOC Commission Paul Steven Miller says: yes -- if there are procedural safeguards in place. In the article, Commissioner Miller describes some of these safeguards. He includes compelling data comparing the monetary benefits provided through mediated settlements with those for charges resolved through other means. We need to gather and analyze data to understand the implications of this data. For example, were the "safeguards" referred to by Comm. Miller implemented for the mediated cases studied? What is the impact on public policy, for example, when huge numbers of unrepresented parties mediate their cases? 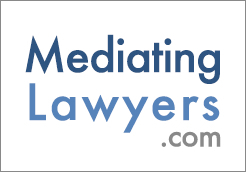 Resolution of Reasonable Accommodation Disputes, by arbitrator and mediator Sara Adler, offers important ideas for mediators about the reasonable accommodation (RA) design process. Ms. Adler spells out the RA negotiation steps: defining essential functions, discussing limitations and needs of the individual with a disability, and exploring potential accommodations. These are exactly the steps that ADA mediators use to facilitate the RA "interactive process." Not surprisingly, the RA process mirrors the classic mediation model of gathering information, making a list of issues, discussing the issues and brainstorming and discussing options. We are posting the 1997 Tenets of ADA Mediation issued by the Institute for ADA Mediation, a program of the University of Louisville Labor-Management Center and the Access Center Partnership. The Tenets refer to widely accepted practices advised by the Model Standards of Conduct for Mediators. We are faced in our developing field with certain assumptions about mediator ethics that may need another look. For example, SPIDR's Ethical Standards of Responsibility state that "the neutral may find it advisable to educate the parties." What data do we have that help us to understand the implications of mediator as "educator"? How does it impact on the parties and the process when the mediator provides information? As the second wave of mediation picks up strength, I hope that we will see more emphasis on bridging theory and practice. We need hard data, and people skilled in gathering and interpreting it, to help us make our field one that can meet the needs of parties on both sides of the table.